HomeThe supermoon eclipse of September 27, 2015. The supermoon eclipse of September 27, 2015. On Sunday, September 27, 2015, there was a rare supermoon eclipse that unfolded above our heads. Not only was it a lunar eclipse, it was also a supermoon and a blood moon as well. Three shows for the price of one. Here are my photos. 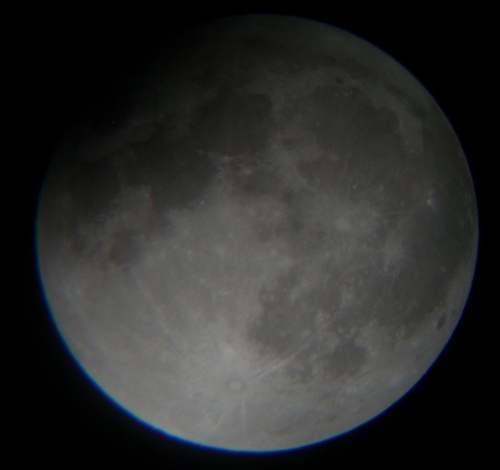 Before the eclipse began, I set up my telescope and did a practice shot with my camera at the eyepiece. It had been years since I last took pictures this way and needed to make sure my exposure settings were correct. 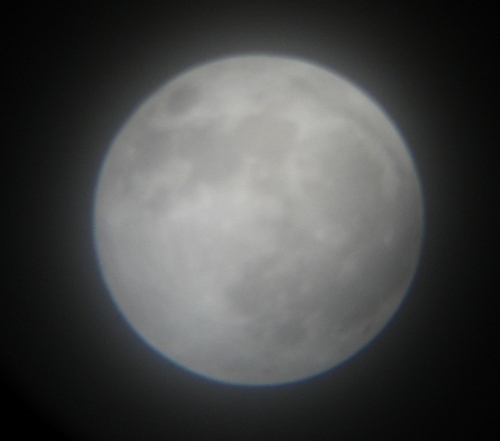 It was cloudy at the time and there were clouds covering the Moon, giving it a rather hazy appearance. 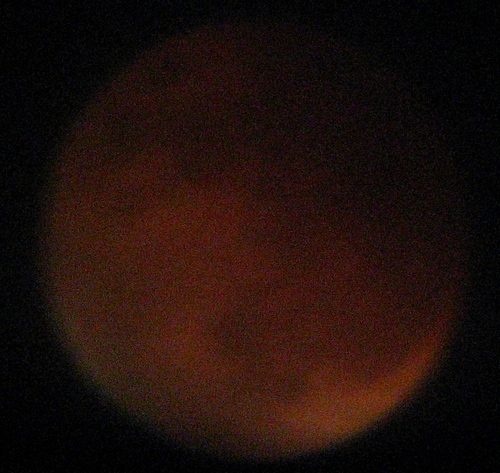 As the eclipse unfolded, the Moon turned dark red as predicted but it was tricky to photograph. I ended up having to use a timed exposure in which I left the shutter open for 2 seconds. It took many tries to get a good picture of this phase of the eclipse. 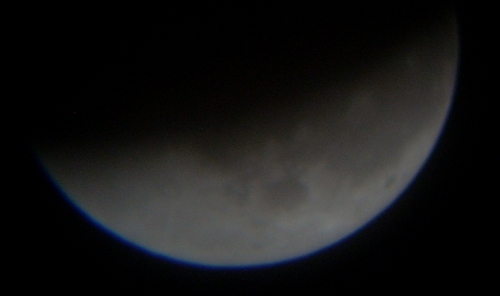 A short while later the Moon returned to its normal color but the eclipse was still in progress. I decided to use a different camera and had to experiment with the different exposure settings before arriving at one that took some decent pictures of the Moon. Slowly the eclipse reached its conclusion and the Moon as we know it was restored to normal. 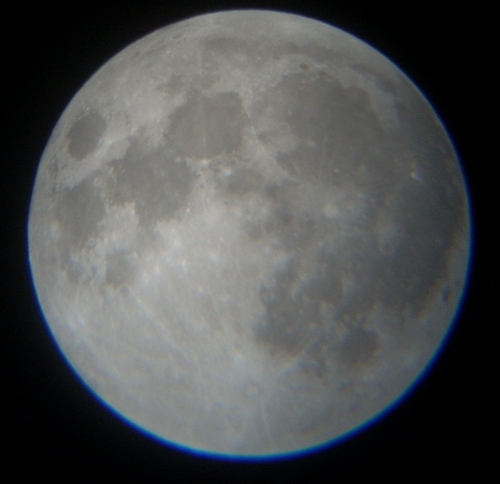 I couldn’t resist one last picture of the Moon before putting my telescope away. The next supermoon eclipse will take place in the year 2033. Don’t miss it.